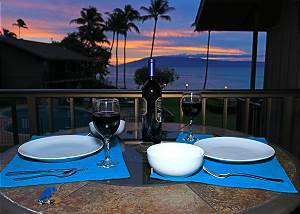 Aloha to our Maui home, an ocean front, custom decorated condo. Your Maui experience from this second story unit overlooks the pool and the view of a constant changing vista that is Molokai. Welcome to condo #222! This remodeled two-bedroom, two-bath oceanfront condo has all you need for your Maui dream vacation. Welcome to condo #205! This second floor two-bedroom, two-bath oceanfront condo has all you need for your Maui dream vacation.